No. 1 Serena Williams and No. 2 Maria Sharapova are the top two players in the world and have played each other 18 times over the course of their careers – a head-to-head matchup dominated by Serena for over a decade. 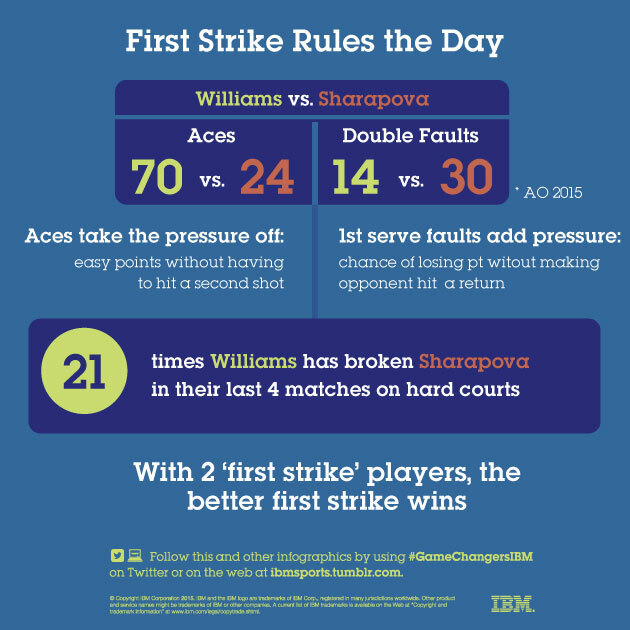 Coming into their Australian Open final, their stats match-up closely in most categories, but the most interesting comparison is their aces and double faults – the stats that determine the pressure put on a player to win a point. In the last four matches this pair has played on hard courts over the last two years, Serena has broken Sharapova’s serve 21 times, which puts extra pressure on Sharapova to hit her first serve in play. This dynamic indicates the two are “First Strike” players – their first swings can put them in control of the points. 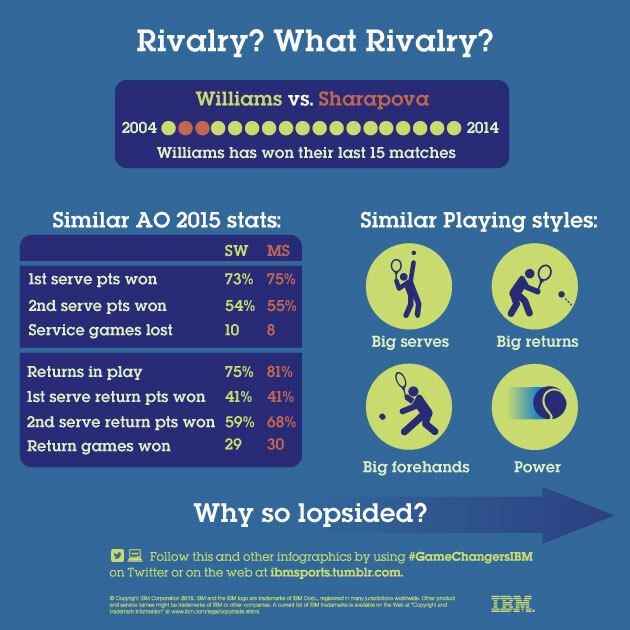 Can Sharapova elevate her first strike, or will Serena continue her dominant performance in the final?